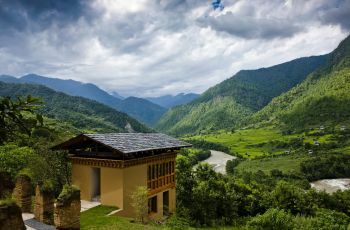 Kunzang Zhing Resort in Punakha valley wears a contemporary and elegant look alongside traditional architecture where traditions blend with 21st century progress and a fascinating landscape. 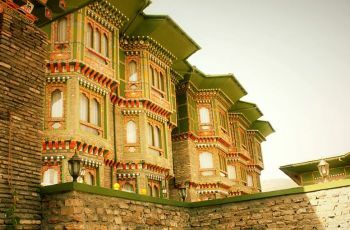 The stone crafts on the structures are intricately chiseled by local stonemasons, exuding the beauty from the use of local building materials and promoting the craftsmanship of local stonemasons. 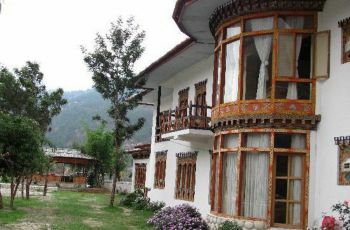 It overlooks the magnificent view of the paddy fields and the Puna Tshang Chhu River. The view of the mountains, blue skies and rivers give it an exquisite feeling. 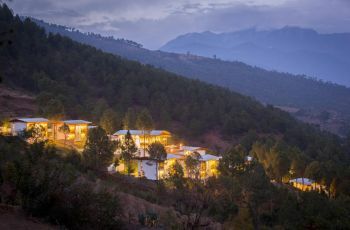 Do you own/manage Kunzang Zhing Resort ?